After a beautiful Saturday of enjoying drinks at Berry Park's roof deck, we walked over to the widely talked about Paulie Gee's. 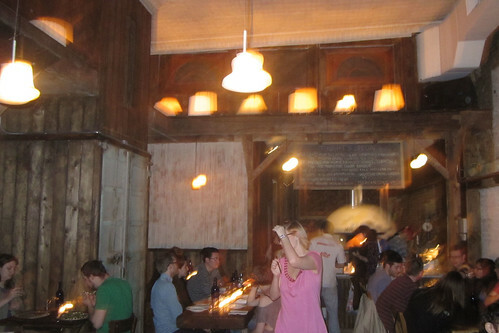 Barn doors open at 6PM till the dough runs out. No alcohol served-- yet-- but theres a bar next door with happy hour till 8PM ($3 beers). And technically it was cash-only on Saturday because the machine was 'down'. Tricky. 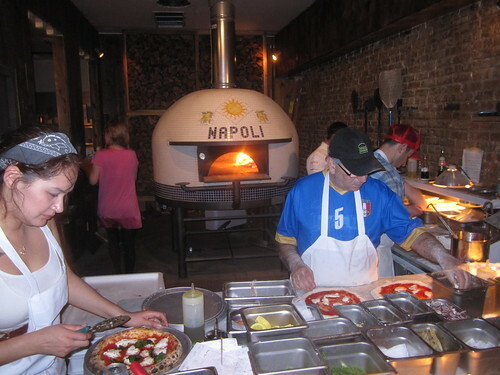 The fancy Stefano Ferrara wood-fired oven. Beautiful spacious interior designed by the people of Manhattan Inn (Thanks Emily for the info). You should check out the bathroom too. In general the pizza's all tasted good. 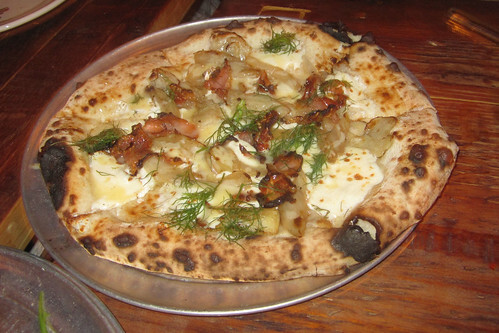 The dough was chewy like a pita bread rather than thin crust pizza of Lucali (I favor Lucali's more). Flavors were okay, but all the ingredients are practically the same, minus or or plus another. For an average of $15 for a small 'personal pan pizza', its hefty pricing, albeit very gourmet. Between the 7 girls, we ordered 4 pizzas--we could have gone for 1 more, but it wasnt that great to spend more money on. This is definitely better than any $3 slice pizza at your corner joint-- but the most memorable? Meh. Still, good enough to come and try though! The Arugula Shmoogala: Italian Tomatoes, Baby Arugula, Olive Oil, Sea Salt, and Shaved Parmiagiano. (Skip it unless your lactose intolerant). 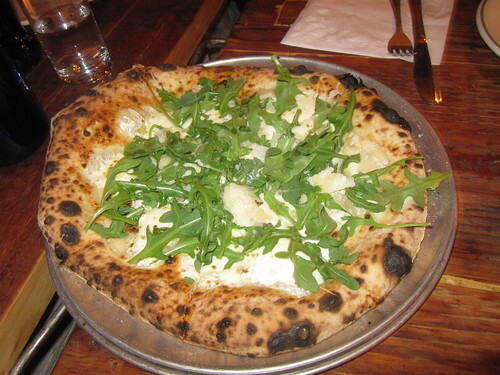 Greenpointer: Fior di Latte (mozzarella), Baby Arugula, Olive Oil, Fresh Lemon Juice, and Shaved Parmiagiano Reggiano ($15). 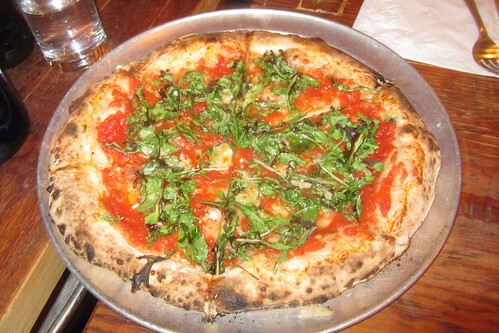 (Most popular pizza). 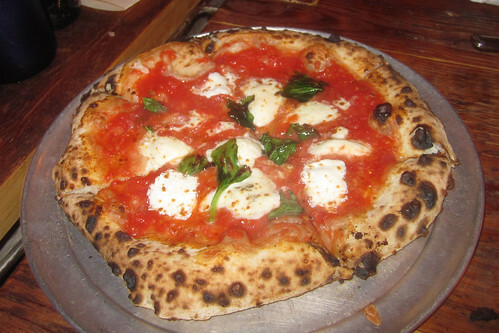 Regina: Fior di Latte (mozzarella), Italian Tomatoes, Pecorino Romano (more cheese) and fresh basil ($13). (The classic, can not go wrong).